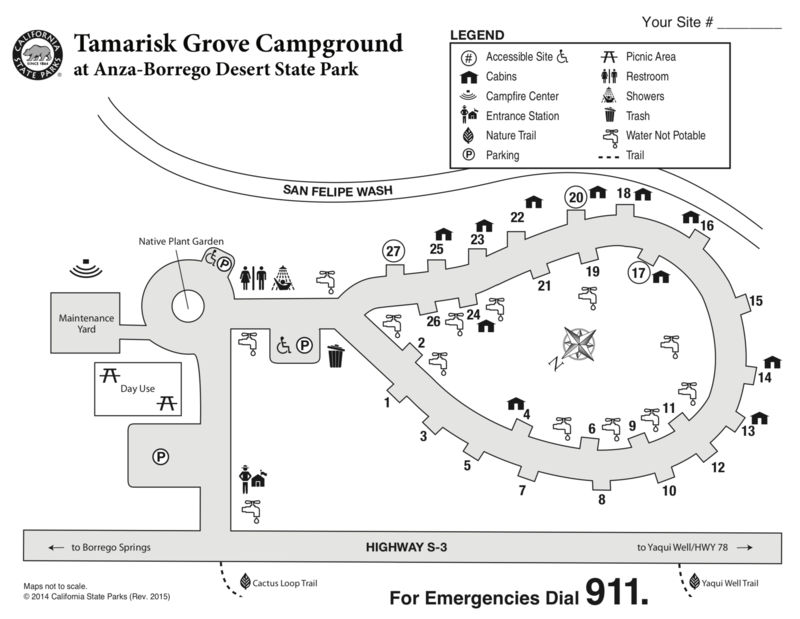 Tamarisk Grove is a tree-shaded campground with 27 campsites for tents, trailers and RVs. There’s also a bike-in campsite. Campsites 4, 13, 14, 15, 16, 17, 18, 20, 22, 23, 24 and 25 also have small cabins available for rent. Each campsite has a table, fire ring, grill, shade ramada and paved parking spur. Tamarisk Grove campground also has a picnic area, campfire center, drinking water, flush toilets and hot showers. 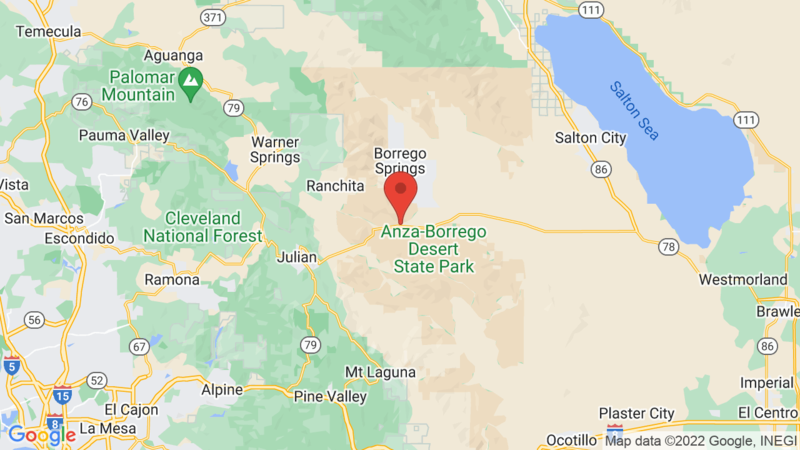 Borrego Palm Canyon campground is another option and located just outside of Borrego Springs. It has 120 campsites for tents, trailers and RVs. Reservations are recommended on weekends. There are a few nice trails that lead out from Tamarisk Grove campground including one to Yaqui Well. Here you’ll find a spring famous for it diversity of birdlife. The Cactus Loop Trail is also a nice hike. It takes you through a beautiful stand of cactus. Winter visitors are often treated to a rare look at the desert bighorn sheep that winter on the ridges north of Tamarisk Grove. Anza-Borrego State Park is located on the eastern side of San Diego County and is the largest state park in California. The park includes hundreds of miles of dirt roads to explore, several miles of hiking trails, many historic/cultural sites, 12 wilderness areas and an abundance of wildlife and wildflowers to see (in the spring). Visted Tamarisk Grove Campground lately? We'd love to hear about your adventure. Did you find us useful? Did we forget something? Anything our community should know before heading out to Tamarisk Grove? Tamarisk Grove is a great campground, but unfortunately it’s closed and is not scheduled to reopen. Tamarisk Grove is now open and has been for a few months. Start enjoying!